May 17th 2014: New Delhi : When nation is witnessing a hung house as no party or coalition is heading towards a clean majority a good news is coming from behalf of Election Commission (EC) and Association of Democratic Reforms (ADR) that all candidates with criminal records have lost their elections. Chief Election Commissioner VS Sampath labelling it as the victory of democracy said," EC's team efforts for free and fair election has given us such results. I thank all Indian voters for this victory." Responding to the news PM Manmohan Singh gave his government the credit for initiating electoral reforms by giving more powers to the EC and for providing an environment where guilty got punishment. BJP's PM post candidate Narender Modi told our reporter that he encouraged people during his public meetings to vote for the honest and decent candidates. AAP convener Arvind Kejriwal mocked his response and said ," Modi Ji's sense of humor is very good it was his party that gave the most number of tickets to candidates with criminal background and there are also ministers in his Gujarat government convicted by the court of law." 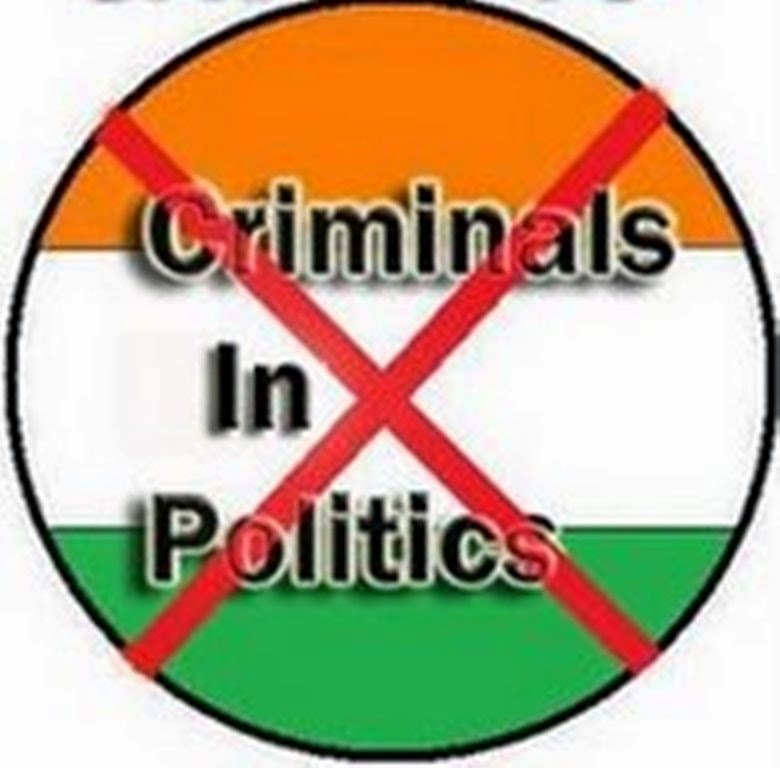 Rahul Gandhi and his mother Congress chairperson Sonia Gandhi remained silence on the issue while most of the other congress leaders tweeted it as the victory of their party's no tolerance for criminals policy forgetting that many party ministers are in jail bars various scams and crimes. It is still not clear who will form the government at centre in coming days but this result will bar political parties to contest elections with candidates having criminal backgrounds. Some experts believes that apart from efforts by EC and ADR, Aamir Khan's Satyamev Jayate played a pivotal role in decriminalizing these elections. The whole nation for the first time in the history of Indian elections is celebrating the victory of Indian democracy rather than victory of any leader or political party. PS : This news excerpt perhaps will never appear on 17th May 2014 after result of General Elections but there is no wrong in dreaming good. As I believe that's its only dream that comes true. Also linking this post to Ultimate Blog Challenge. Today is UBC DAY 27. We wish things happen like this. In real life, these candidates will just raise a Manmohan instead. Like Rabri for Laloo Yadav. Like Asha Rani for Raja Bhaiyya.